What makes a hit song? For the past four days I have been listening to the hottest hits from the 80s, 90s, 00s, and today to try and see if any pattern emerged, but each decade had it’s own focus of popularity from 80s hair bands to 90s grunge, garage bands and boys bands to 00s pop/ punk artists. What I discovered is that many producers and writers from past decades are still writing and producing hits for today’s artists and a lot of them have work with one another in some capacity; either producing on the same album or even on the same hit song. First, you have Rodney “Darkchild” Jerkins. He worked on Brandy and Monica’s ‘Boy is Mine’ in 1998, Destiny’s Child’s ‘Say My Name’ in 1999 as well as with Lady Gaga, Britney Spears, Janet and Michael Jackson, and most recently on Ariana Grande’s new album My Everything. Another well-known producer and writer is Max Martin. Think of the most popular pop songs from the 90s through today, Max Martin probably was involved as either a writer, producer, or both. He worked on Ace of Base’s ‘I Saw the Sign,’ Britney Spears ‘Hit Me Baby One More Time‘ to today’s artists such as Maroon 5’s ‘One More Night‘ to Taylor Swift’s current hit ‘Blank Space.’ I have mostly touched on pop and R&B producers but what about rock? Well, for Rock it seems that Desmond Child is your man. He has worked with artist such as Aerosmith, Jon Bon Jovi, Chicago, Joan Jett, and KISS, but he also has crossed over into the pop genre with artists such as Katy Perry, Jesse McCarthy, and Ricky Martin (Click here for hit producer playlist). I could continue to give you a list of other reputable producers that have helped created some of the most recognized music of yesterday and today, but let’s switch back to my original question and that is “What Makes A Hit Song?” What I have discovered is it is an artist’s team (artistic and business), how the mass public relates, and what is currently the popular genre in today’s youth. The teenage years are when you start to find yourself, discover who you are as a person, extremely emotional, as well as being more open-minded to music. The fans and the branding are what guides the success of the next superstar. So, what about the artists that have an amazing sound, but don’t have a Billboard hit? In the music industry, if you have become popular in America you have “made it” in the industry, but what about those bands that have an amazing sound and their lyrics are like poetry? Mariana’s Trench is one of those bands. They were signed to Cherrytree Records (associated with Interscope Records) in 2013. Mariana’s Trench has a huge following in their home country (Canada) selling out arena tours, as well as become a multi-platnium and award winning artist, but in the United States they haven’t even touched the Billboard Charts as a band. It should just be all about the music. If you have great music then it should be recognized on all levels, in every country, but unfortunately that is not how business works. It seems to come back to branding and building an image as well as how that image is perceived by the fans. Continue to discover new music. Check out other artists that your friends are listening to, and become a promotional fan for a new artist that you have created a passion for in music. 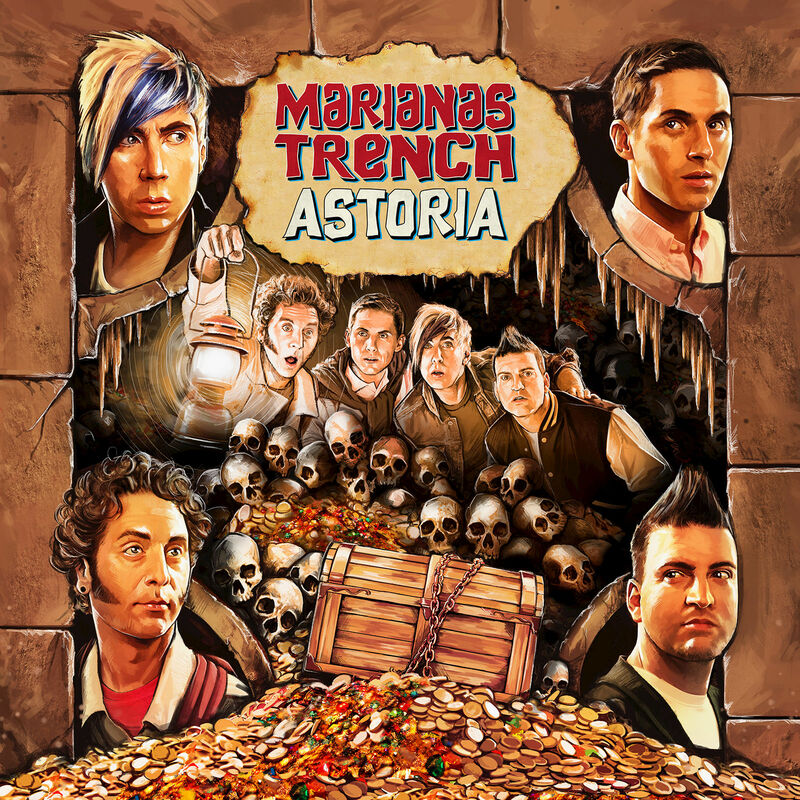 Check a Marianas Trench Playlist here, as well as other music lead singer and guitarist Josh Ramsey has done collaboratively written and produced with other artists.